I started this back in June 2015, and have been keeping up with it this past month. I’ve kept reducing my goals due to real life, and I think I hit a stride heading into December, but then the Holidays happened, so we’ll see if I met any of my goals at all. 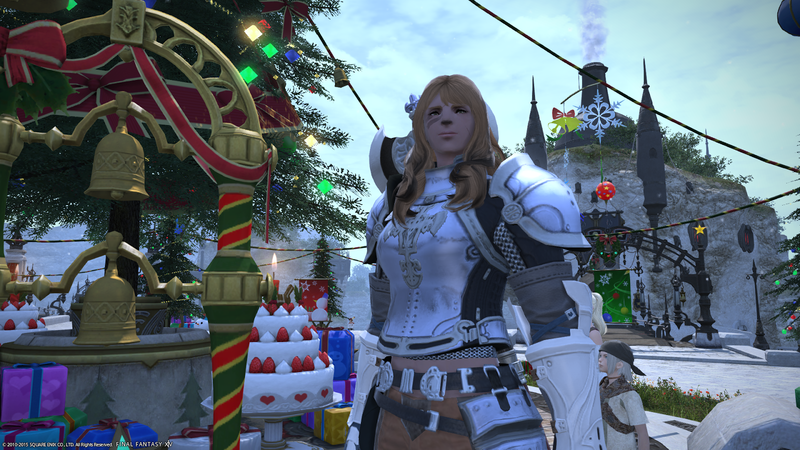 (Magnolia) Chestnut enjoyed fixing bells to bring happiness to the children in XIV! Work towards the last two AP (48) points! Halfway to last one! Do the Christmas event Completed! Let’s take them a game at a time. In WildStar I’m halfway (I think even 3/4 way) to getting my last Ability Point. Finally! It’s been such a process for me, especially since I was feeling a little bit of burnout after ThaydFest, but I’ve gotten back into the swing of things and am greatly enjoying myself again. I got Yardcore up, and did Winterfest, too! Hopefully I can churn out a Winterfest post in a timely manner… so, sometime this week. Chaide and I are level 47 on our main classes in XIV and finished out the MSQ to the point where we need to be level 49. It’s our goal to try to make it through to the Heavensward story end of the month. We also did the Christmas, New Years, and XI crossover event. I’ll probably do a joint post about those at some point. We didn’t get in a lot of TSW due to the Holidays, Cam traveling for work, etc. but we also ran into some issues completing the Christmas events, which I discussed briefly in an article over at MMOGames. Overall, considering it was the holidays and the progress we made, I think I made a pretty good dent in my goals!